Medow is a special theme for creating websites with a thematic focus. 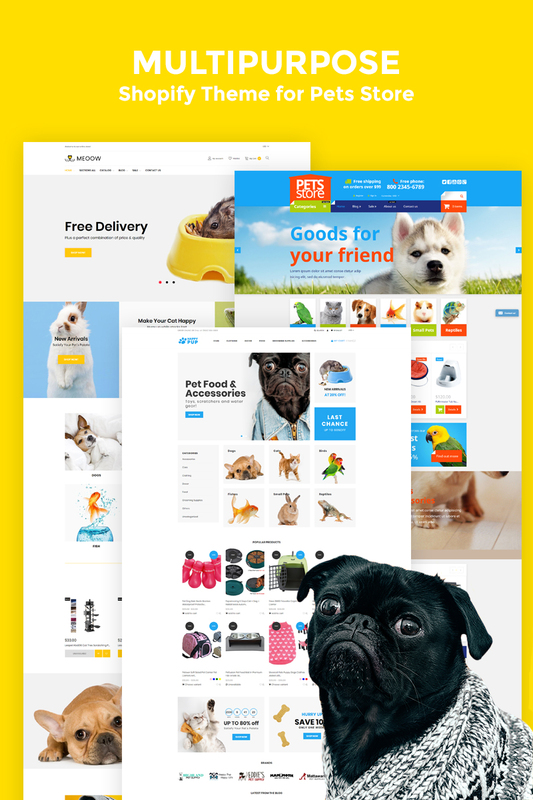 This Pet Food Online Store Clean Shopify Theme is very well designed and allows you to create a worthy web resource in a very short time. It will work even for those who have never encountered the creation of sites. This theme already has various built-in plugins that solve all the problems with organizing the mechanisms of the online store website. The theme also offers its users a code that is optimized for working with search engines. This will greatly simplify the further promotion of the finished website on the Internet. And the wide possibilities of adjustment will allow tweaking every visual element and to integrate the necessary functionality. This is also complemented by a high degree of SEO optimization, thanks to which your store will be able to get the highest positions in search results.